About Beth MacFawn Landscape Design – Beth MacFawn Landscape Design Inc.
Based in Bozeman, Montana, Beth MacFawn Landscape Design, Inc. has been recognized for exceptional signature designs and quality installation since 1998. Born in Boston, Massachusetts, Beth MacFawn has been drawn to the impact of landscape on the human spirit for as long as she can remember. Her love of native plants, the movement of grasses, and Nature’s inexhaustible array of textures is incorporated within her designs to exemplify the rhythm of the seasons — this is the sensitive perspective Beth will bring to your landscape project. While attending college in Virginia and working at a greenhouse, she succumbed to ‘the call of the West.’ In January 1993, Beth began her first semester at Montana State University in Bozeman. In 1995 she received a degree in Horticulture, with an emphasis in Landscape Design, focusing on the use of native plants. She then worked in a local nursery for two years, learning the ropes of high altitude planting before starting her own landscaping business in 1998. She continues to embrace the diverse and spectacular aspects of the western landscape. Beth’s longstanding professional relationships with the area’s finest craftspeople (spanning the spectrum of builders, sculptors, stone masons and many other creative professionals) affords quality landscaping unequalled in the area. With Beth MacFawn Landscape Design, you are assured design integrity, quality materials and professional craftsmanship—allowing you to enjoy the transformation of your landscape! Additionally, you will be working with someone who derives great pleasure from helping clients develop a creative approach to landscaping, while preserving the harmony of the existing environment. 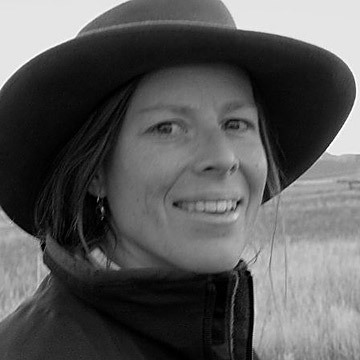 A member of the Montana Native Plant Society, Beth’s yearly plant and landscape presentations for various organizations are highly anticipated and well attended. Her landscape designs have been featured in numerous publications. Visit Beth’s Portfolio to see the superb quality of her landscape design, as well as the high regard in which her clients hold her.